Tonight the puck drops for the Salmon Arm Silverback’s 18th season in the BCHL. The Merritt Centennials are in town for 7pm in the Shaw Centre. New additions to the team up front are Tyson Gayfer, Aiden Jenner, Jonathan Krahn, John Little, Wyatt Marlow, Yewta Plamondon, Logan Shaw, and Matthew Verboon. On defence new players include Sam MacBean, Ethan McLaughlin, Andy Stevens, Olson Werenka and local talent Cole Nisse. In the crease it will be Devin Chapman and Ethan Langenegger who played one game for Salmon Arm last season stopping 36 of 37 shots in a win over West Kelowna. The Silverbacks would like to wish four of their graduating players the best of luck as they continue their hockey careers at post-secondary institutions. 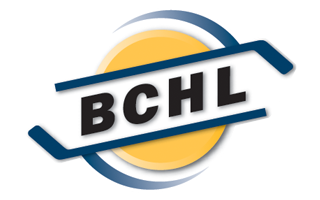 Rhett Kingston (Western Michigan), Joe Leahy (Cornell), Reid Cooper (Robert Morris), and Tanner Campbell (Regina) will all be playing again this season after moving on from the BCHL. In pre-season action, Salmon Arm played a pair of back-to-back games with divisional rivals. 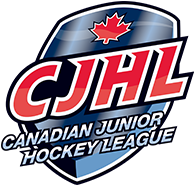 They lost in regulation in West Kelowna before losing a tight game 3-2 in OT against the Warriors in the Shaw Centre. The following weekend would have TWO shootout games against the Vernon Vipers. At home it was the Silverbacks coming back from a 2-0 deficit to tie the game and eventually win in a shootout. The next night in Vernon, the Vipers would even the game at two with four minute left in the game, and won in the shootout. Salmon Arm finished the exhibition season with a 1-1-1-1 record with three of the games going to extra time. Tonight’s game features a pair of divisional rivals who had similar records in pre-season action. Merritt had two games against Vernon and a pair against Prince George finishing with a 1-2-1-0 record. Their final games against Prince George were both decided in overtime with the visitors winning each. Last season it was Merritt winning the season series between the two teams going 4-2 against the Backs. Scott Atkinson returns for his second season as head coach of the team, and will be joined on the bench by Assistant Coach Tanner Cochrane who spent last season with the Thompson Blazers. Brett Knowles will also be on the bench again, this time as Assistant Coach and the Strength and Conditioning Coach. Brooks Christensen will be transitioning from his role as Assistant Coach and Marketing Director, to the Operations Manager running the Silverbacks, Shuswap Elite Academy Hockey School, and Maximum Edge. Some big news radio wise for the team happened in the offseason, as they will be having all home and away games broadcast on 91.5 EZ Rock. The team’s new broadcaster Ryan Lepper will be providing play-by-play at the Shaw Centre and on the road with the team. Other big new this summer is the team’s new partnership with Salmon Arm Minor Hockey. Teams in the community will begin the transition from the Silvertips to the Silverbacks and will be wearing the jerseys to match. 80 ice times have already been reserved for Silverbacks coaches and players to help with skill development of local players. Both groups are excited for this opportunity moving ahead.